Obviously the start of the year is a time that many people choose to make new resolutions. If you are a parent, some of those resolutions may be related to trying to improve your parenting. Whether that be shouting less, being more patient, improving your work-life balance, having more quality time with each child etc etc. The problem with many New Year resolutions is they are often unrealistic and after a few weeks or even days of making a big effort, it’s easy to slip back into old habits. Last Friday my usual spinning class was absolutely packed and I’m pretty sure that by February I probably won’t have to rush to get there early to secure a bike! As a parent it is particularly difficult to change if you don’t have some good skills/techniques up your sleeve or if you don’t taketime to step back or find out about simple changes you can make that will have a huge impact on family life. It is for that reason I find my work as a parent educator so incredibly rewarding as just helping parents to tweak their approach in a few ways can make a tremendous difference. In line with the idea of New Year resolutions relating to parenting, the first thing I would suggest is that you resolve to take care of yourself before you worry about how to take care of your children. In order to be fully equipped to support anyone else, you need to make sure that your own needs are being met and that you are not running on empty. This is not being self-indulgent but will enable you to be a better, more effective parent. In an emergency, we are always told by airlines that when travelling with children you need to fit your air mask before your child’s. It’s difficult to imagine actually having the head to do that but it is what is required. I once heard a really dynamic chief executive speaking about the challenges of raising 6 children and having an incredibly demanding career. Of course she was not raising the children without help and a very supportive and involved husband but one thing she said always sticks in my mind. 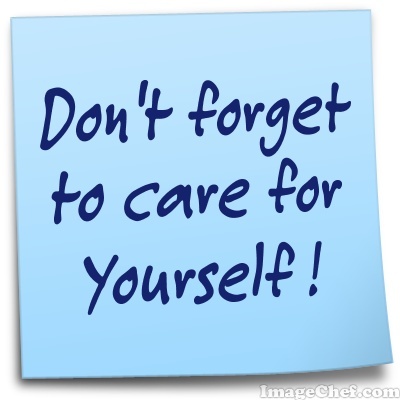 “Self-care is not sel-fish”. Once you have worked out what you think you need to stay sane and balanced, then start by choosing a small area to commit to and work out how to make it a reality. You may need to make a concrete plan, adjust your schedule, allocate money, enlist the help of friends or family. Take small steps at a time and focus on today, right now. How you respond to your children is based on your needs and feelings. If you don’t take care for those it will be very hard to be a positive parent.